Step aside ramen, it’s time for udon! 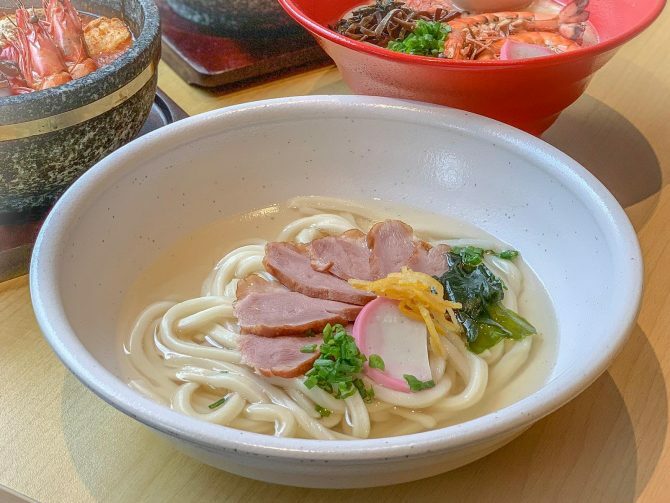 Udon fans can now celebrate with the opening of Udon Kamon at Suntec City, offering the widest variety of udon broths in Singapore, as well as the popular Sanuki udon. Sanuki udon, unlike regular udon, is square-shaped and flat-edged, which means that you can get more flavour per noodle surface area with every mouthful! 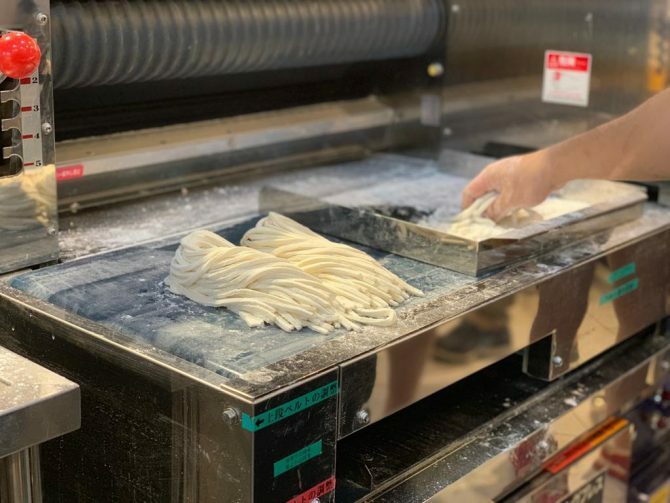 Here at Udon Kamon, the udon is hand-made in-house each day by the chefs using Japanese wheat flour, salt, and water. 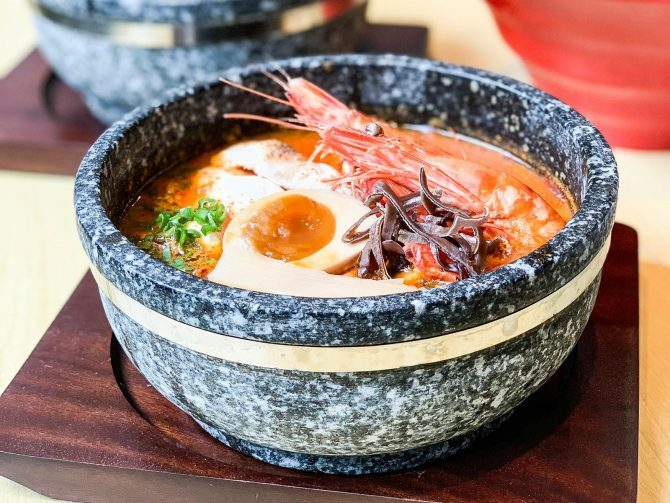 Besides that, the chefs also concoct their own recipes for the various udon broth bases, working on and perfecting them for ages, before deeming the dishes good enough to be sold to the public. 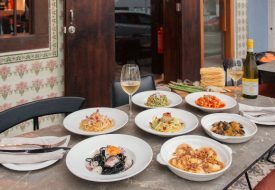 We tried a few of their signature dishes, and definitely weren’t disappointed! Kicking things off to a fiery beginning was the Magma Spicy Udon (S$13.80++). 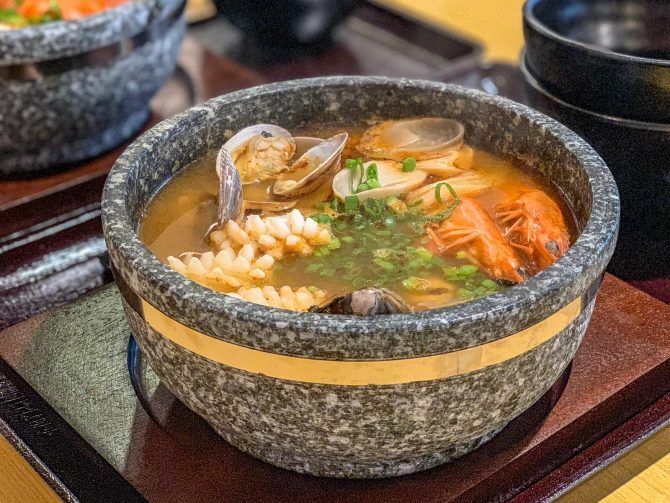 It came served in a stone bowl that, like claypot dishes, keeps the udon piping hot. For people with a low tolerance for spice, the bright red colour of the broth and its heady chilli scent might look intimidating. While the soup was indeed flavourful, and the portion of ingredients generous, the spiciness was a tad too strong but befitting the “Magma Spicy” title. However, those who enjoy laksa and ma la will love this udon dish! Next up – the Smoked Duck Udon (S$11.80++), and perhaps our top pick! While its namesake smoked duck was good, the star of the dish was its broth. A traditional wafu broth made with dashi stock, kombu, and Kagoshima bonito that was aged for at least two years, it was refreshing and light on the palate, pairing well with the chewy texture of the udon. A pleasant surprise was the bits of yuzu peel in the broth, which gave it a subtle citrusy scent that complemented the smoked duck. If you’re looking for a light meal, or just something different from the usual soup bases, give this a try! Likewise, the Prawn Tonkotsu Udon (S$14.80++) was also a favourite, and gave a twist on the usual tonkotsu broth. Made from prawn paste, white miso, home-made prawn oil and pork collar, this was a hearty, creamy soup bursting with ebi flavour. The flat edges of the udon were good in picking up the broth here, and every mouthful was moreish, especially with the fragrant sakura ebi and fresh tiger prawns. We ended off our meal with the Tom Yam Spicy Udon (S$13.80++), which came brimming with ingredients: tiger prawns, mussels, asari clams, squid, straw mushrooms and tofu. The broth was redolent with tom yam spice which was more sour than spicy, and addictively so! 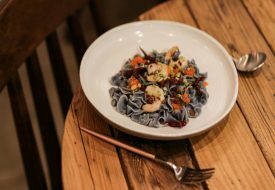 Overall, Udon Kamon excels at their broths, offering the humble udon as a canvas to taste the original creations of their chefs. 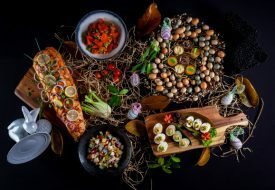 If the above dishes have you salivating, don’t put off paying a visit to the restaurant! 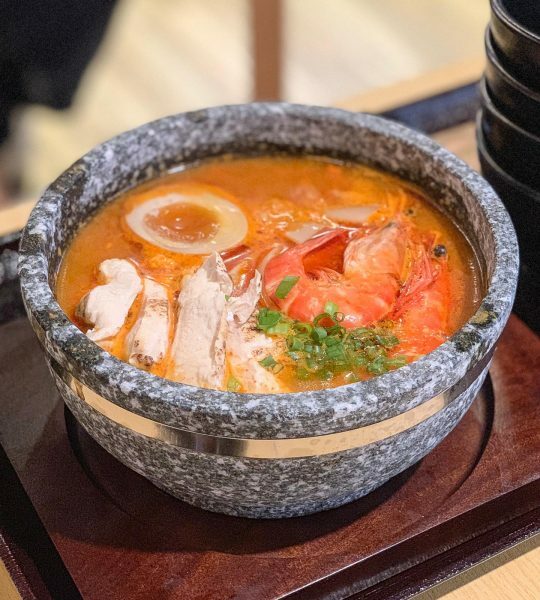 Now until 17 February 2019, Udon Kamon is offering a special opening promotion, giving you $2 off all orders of their Prawn Tonkotsu Udon (U.P. S$14.80) and Beef Udon (U.P. S$11.80), so head on down now to have a taste of hand-made udon and slurp-worthy soups at a wallet-friendly price!